Get to know our team of veterinarians here at Advanced PetCare of Northern Nevada. Our experienced veterinarians will provide the best care possible for your pet! 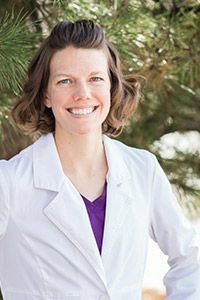 In her free time, Dr. Behrens enjoys running, hiking, yoga, and reading. Her family includes her husband, Jason, and their 3 dogs. Aggie and Babar are senior Great Danes, and Riley is a Beagle/Dachshund mix (and Dr. Behrens’ running partner).